No one can even begin to understand the agony of a handicapped person. What he/she must go through every day and how they cope with life. They are surrounded by people who constantly remind them of their disability. But, your disability is not inability, you can still do great things in life and fulfill your dreams. Just remember, God gave everyone at least one special ability, you just have to find out what’s yours. These 10 famous people with disabilities are proof that nothing can stop you from dreaming and achieving. 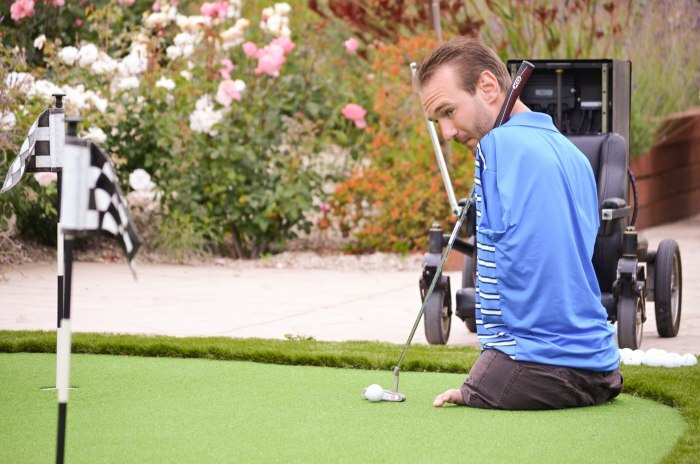 Also commonly known as Nick Vujicic, he was born with tetra-amelia syndrome (absence of limbs). He is a motivational speaker who has touched the lives of millions. He swims, plays football, and pretty much does everything, just like any other person. Nick didn’t let his disability stop him from staying happy, achieve his goals in life and live life to its fullest. 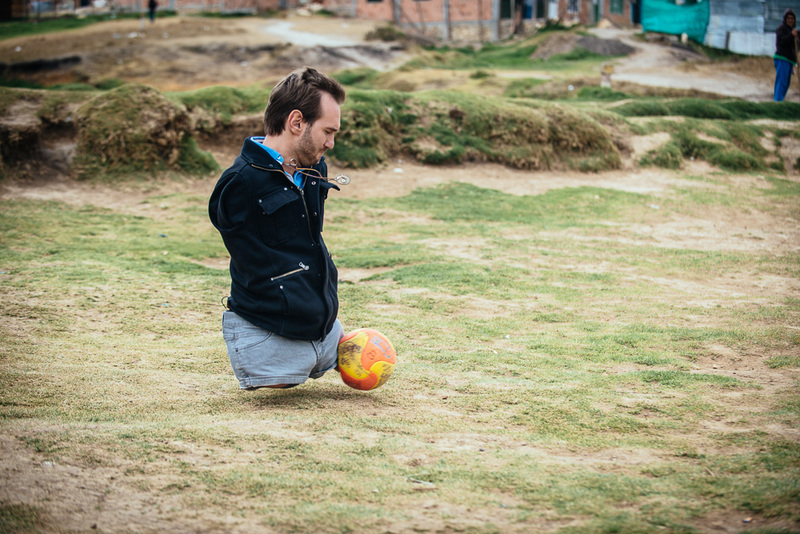 He founded an NGO named Life Without Limbs through which he motivates people to have faith in Jesus, who he believes gives him strength. He also starred in a short film called The butterfly circus for which he was awarded best actor in a short film by Method first Independent Film Festival. Nick continues to inspire millions and is one the most famous people with disabilities. 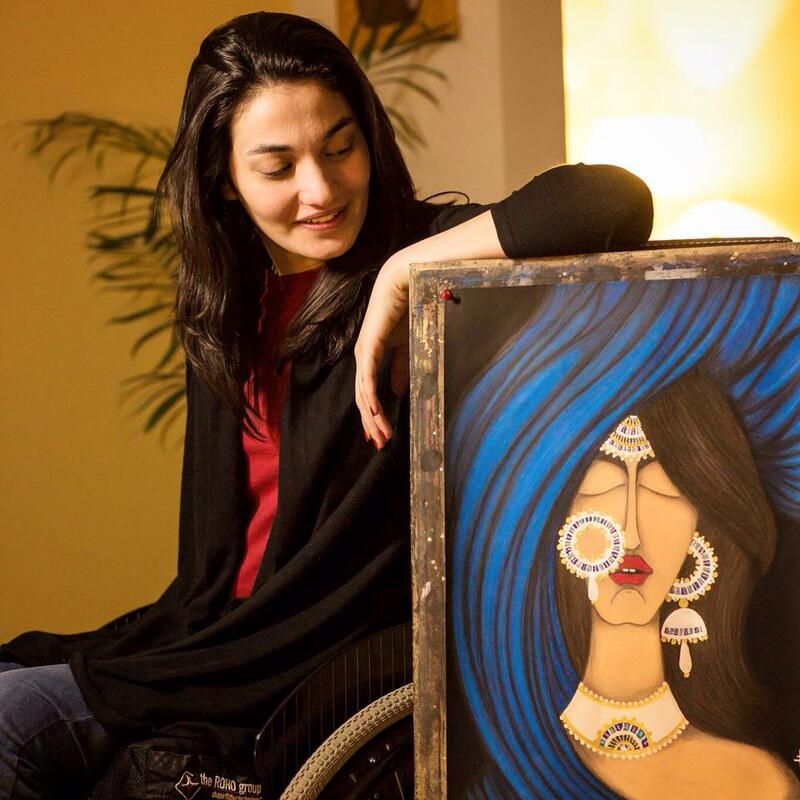 Muniba Mazari belongs to Pakistan. At age of 21, she met with a car accident that left her lower body paralyzed. She spent 2 and a half months at a hospital and underwent 3 major and 2 minor surgeries. The list of her injuries is a long one, out of which, her spinal chord injury changed her life. She started painting and discovered her skill when she was bedridden for 2+ months. While she painted portraits of sorrow and how she felt, others found her work absolutely astonishing. It has been almost 10 years since her accident, she is now a motivational speaker, a prolific artist and interestingly, a wheelchair model and television host. Rising from Pakistan, she wants the world to recognize the talent and zeal of Pakistani girls. Being a model and a motivational speaker, she is also one of the most famous people with disabilities. She believes that even though her body is caged, her mind is still free to concur anything. She is a living example of what you do with your brains, and that your disability is not inability. One of the greatest living minds on the planet does not need an introduction. Stephen hawking stands among the most famous people with disabilities who have changed the world with their life’s work. He is a theoretical physicist and cosmologist. His work involves black holes, gravitational synergy theorems, quantum mechanics and a bunch of other things that I need another lifetime to understand. 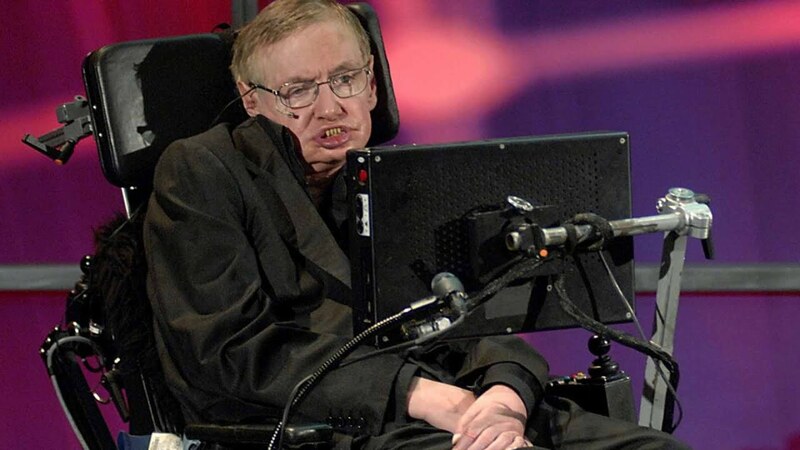 He has amyotrophic lateral sclerosis (ALS) which gradually paralyzes the whole body over the years. With a computer and speech generating device he is able to communicate with people. He has control over his cheek muscle which helps him to communicate. He is a prominent scientist who has greatly contributed to the theory of black holes. If he can do it, so you every disabled person. This is Broto from Kolkata. He was diagnosed with Polio in his early childhood, his parents sold their house for his treatment but he couldn’t defeat polio. He lost his Father due to an illness, and his mother passed due to severe diabetes when he was in 1st year of his graduation. Broto comes from a poor family. One day he was approached by someone who offered him to workout at their gym in exchange for a cleaning job. He found his passion in bodybuilding during his time there and decided to pursue it. Apart from winning competitions, he constantly wins the hearts of thousands and even lakhs. He shows us that one can build a body and enter a competition even with a disability. Today, there are all kinds of sports open for persons with disabilities all around the world. The world is full of opportunities, you just have to believe that your disability is not an inability to achieve. He may not one of the most famous people with disabilities, but his story and hard is definitely inspiring. People like him should be recognized by our Govt and our people. Aarunima Sinha, the first Indian Amputee to concur Mount Everest. She lost her leg when a group of thugs pushed her from a moving train. She constantly received pity and sympathy from people around her which she did not appreciate and she was not ready to accept that she could not do things just like everyone else. So, she climbed The Mount Everest and proved to the world that will power and dedication matter more than a perfect body to achieve great things in life. If these famous people with disabilities can do things which even physically gifted people cannot do, then there is nothing you cannot achieve in life. Even after losing his leg in a train accident at the age of 2, he is a badminton champion. He plays with his one leg and is able to cover the entire court. In Para Olympic Asia held in India, he won a Gold Medal for the country and showed the entire world that nothing can stop a person from realizing his/her dream. He has also played in several other international badminton tournaments and has a collection of various gold and silver medals. He fought against the odds and won. Take a leaf out of his book and just know that your disability is not inability. Meet Shekhar Naik, one of thousands unsung heroes who beat their disability on a daily basis. He is a blind crickter under whose captaincy India won the T20 Blind Cricket World Cup in 2012. In 2014, he also lead his team to victory in Blind Cricket World Cup. He has been awared the country’s fourth highest civilian honor, Padma Shri. He is a greatr batsman as well as a great bowler, despite being blind and has scored more than 32 centuries in both international and national tournaments. Famous people with disabilities live among us, working hard everyday and chase success. If, in a game like cricket where eyesight is crucial, he can make a name of his own, then that simply sends out a signal for all those disabled persons that their disability is not inability. She met with an accident when was 16 years old. While plastrering her wound, doctors missed a little something is her ankle which later worsened with time. As a result, she had to lose her leg and now has a prosthetic “Jaipur Foot”. She did not let her loss of leg demotivate her and now she is one of the most popular classical dancers of India. She performed Bharatnatyam both internationally and in the country and received countless awards for her dedication and is very popular and respected in Indian Film Industry. At the age of four, he became quadriplegic for the rest of his life when a lumbar puncture went wrong. Prabhu is an optimistic person since the start who studied and worked hard like everyone else. He won a medal at World Championships in 1998 and is a highly respected wheelchair tennis player. In 2014, he received the Padma Shri award by the Govt of India. It is because of these famous people with disabilities that remind everyone, what they are capable of. At the age of six, Ralph Braun was diagnosed with muscular dystrophy. He is the late founder and CEO of Braun Corporation. Braun Corporation is one of the major manufacturers of wheelchair accessible vehicles. From an early age of 15, he started making vehicles for him that would allow him to move around easily. He developed a motorized wagon, and at the age 20, he also developed a motorized scooter known as tri-wheeler. He wanted to build such machinery that would help a wheelchair-bound person to do things seamlessly and unassisted. In 1966, he created the first wheelchair accessible van. He understood the hardships of disabled persons and relying on others for even small things. He made the life easier for millions of people and is still continuing through Braun Corporation. Former US president even named him “A champion of change”. He is one of those famous people with disabilities who iterally changed the lives of disabled people. Your mind is free to do anything. That’s what Muniba mazari believes and every disabled person should believe. You can use that brilliant mind of yours to make yourself a name in this world. All it takes is talent and faith to achieve success in life. 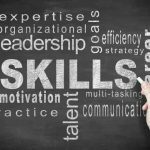 That talent should be enhanced and nutrured from the very beginning of a person’s life. 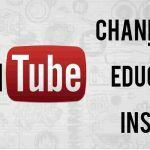 Download our home tuition app or visit our home tuition website to get qualified home tutors for your child’s hobbies and talents to grow. Qriyo provides qualified home tutors for academics, fitness, singing, dancing, guitar, and 500+ other courses that can be learned at home. A good home tutor for guitar is just a few taps away from you. Never let your interests and hobbies fade away.